Note: This article is for free VS Express 2013 edition. 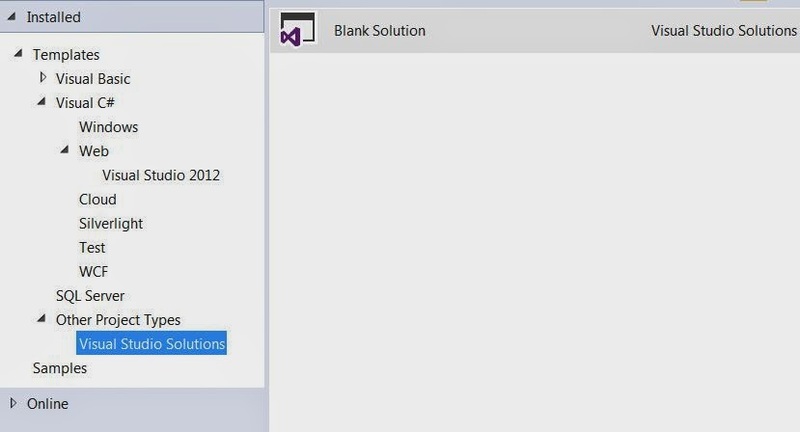 Other editions might have option for empty solutions in different location. 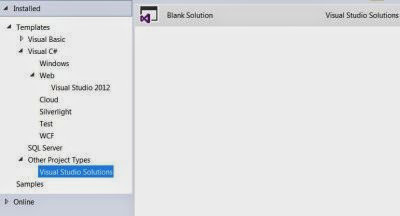 In the end it turns out that where option for blank solution is located depends on which version of VS Express 2013 you use. And this is it. Now you know where this option is located. If you found this article useful, share it on social networks or drop a comment.